Jip, ek's glad nie verbaas nie. Nog minder as ons agter kom dat dit self hier ook gebeur. Ek het al twee maal 'n swart H1 met donker vensters en baie "aerials" sien staan oorkant my plek, maar wanneer ek nader stap dan ry die ding weg. Wonder ek nou maar of iemand in die omgewing dalkies iets het om te "deel". https://motherboard-images.vice.com/...g?resize=600:* 2x" data-srcset="https://motherboard-images.vice.com/content-images/contentimage/39660/1479422388510793.jpg?resize=400:*, https://motherboard-images.vice.com/...g?resize=600:* 2x" style="box-sizing: inherit;"> A close-up of an Harris Harpoon. https://motherboard-images.vice.com/...G?resize=600:* 2x" data-srcset="https://motherboard-images.vice.com/content-images/contentimage/39660/147974440106966.JPG?resize=400:*, https://motherboard-images.vice.com/...G?resize=600:* 2x" style="box-sizing: inherit;"> The back of one of the Harris IMSI catchers owned by the Florida Department of Law Enforcement. The U.S. government has acknowledged the existence in Washington D.C. of what appear to be devices that could be used by foreign spies and criminals to track individual cellphones and intercept calls and messages, the Associated Press reported Tuesday. In a March 26 letter to Sen. Ron Wyden, D-Ore., the Department of Homeland Security admitted that it "has observed anomalous activity in the [Washington D.C. area] that appears to be consistent with International Mobile Subscriber Identity (IMSI) catchers." DHS added that it had not determined the type of devices in use or who might have been operating them, nor did it say how many it detected or where. However, a DHS official who spoke on condition of anonymity because the agency's reply to Wyden has not been publicly released told AP that the devices were detected in a 90-day trial that began in January 2017 with equipment from a Las Vegas-based DHS contractor, ESD America. The CEO of ESD America, Les Goldsmith, said his company has a relationship with DHS but would not comment further. 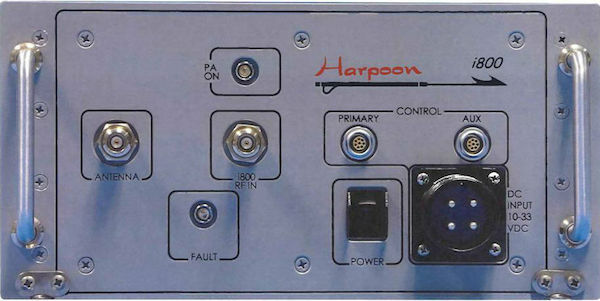 The agency's response, obtained by the AP from Wyden's office, suggests little has been done about such equipment, known popularly as Stingrays after a brand common among U.S. police departments. The Federal Communications Commission, which regulates the nation's airwaves, formed a task force on the subject four years ago, but it never produced a report and no longer meets regularly. Wyden wrote DHS in November requesting information about unauthorized use of the cell-site simulators. Christopher Krebs, the top official in the department's National Protection and Programs Directorate, noted in the letter that DHS lacks the equipment and funding to detect Stingrays even though their use by foreign governments "may threaten U.S. national and economic security." The department did report its findings to "federal partners" Krebs did not name. That presumably includes the FBI. “There really isn’t any place for innocent people to hide from a device such as this,” Tynan wrote in an email. A video of the Gemini software installed on a personal computer, obtained by The Intercept and embedded below, provides not only an extensive demonstration of the app but also underlines how accessible the mass surveillance code can be: Installing a complete warrantless surveillance suite is no more complicated than installing Skype. Indeed, software such as Photoshop or Microsoft Office, which require a registration key or some other proof of ownership, are more strictly controlled by their makers than software designed for cellular interception.